Insco is an ECIA member! Don't risk your product, your customer, or your reputation. Look for the "Authorized Source" logo to ensure you purchase from a legitimately authorized company. Authorized sources are your safest source for any electronic component. 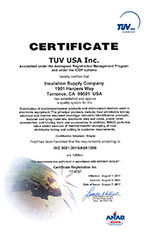 January 2013 - Insulation Supply Company is awarded the Boeing 2012 Supplier Performance Excellence Award. We've been serving the aerospace and electronics industries since 1952. We understand your stringent requirements and we have the resources and know-how to provide you with factory new, fully traceable products on time, this time and every time. ...we're ready to deliver! 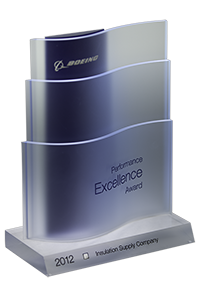 When you require top quality parts and award-winning service, you can rely on our vast inventory and experience. We will deliver the right product to the right place at the right time with no surprises, to any continent (except Antarctica). 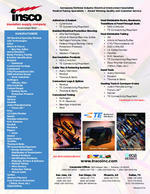 Search our inventory. If you don't see it, call us anyway. We can order it for you and, when appropriate, we can even schedule shipments for your convenience. We also post a list of overstock parts that's definitely worth looking at. Call us for special pricing on these parts. Don't forget to mention you found them on the overstock items list. NOTICE: Our products are not for retail sale or consumer use!